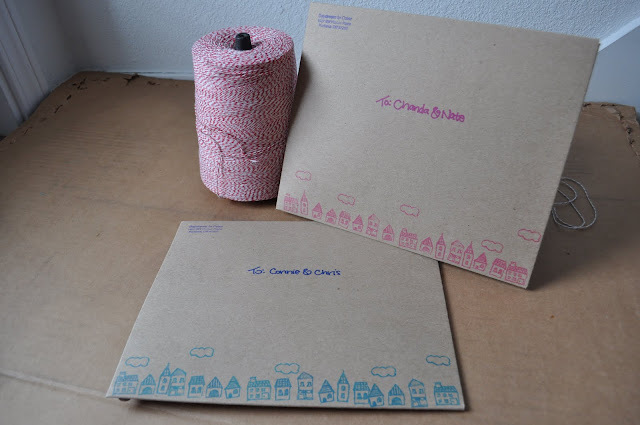 i have a special surprise for mail art monday! connie from daydream in color is going to do a guest post. 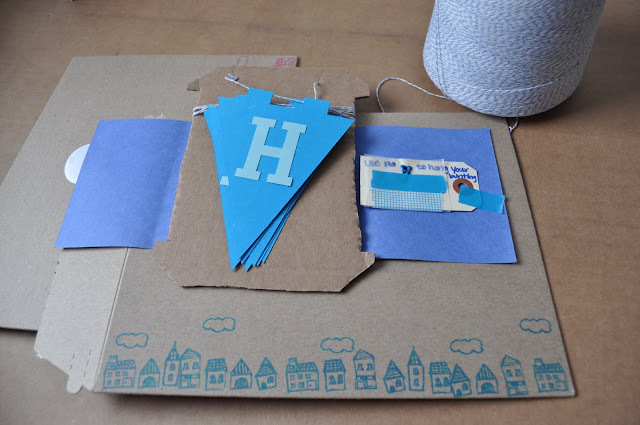 the best part about the mail art she is going to share with us is the special surprise she made to put inside her envelopes! i'm not embarrassed to say i'm a little bit jealous of her mad crafting skills - she is about to put to shame everything i have ever posted on a monday. ready, set, bunt! "hi everyone! i'm connie from daydream in color and i'm the excited guest host of today's mail art monday post. in the last few months, my two best friends have moved into new places with their respective significant others. i have yet to visit them in their new homes, but i thought it'd be nice to send them a sweet housewarming gift until they get settled so that even though there's much work to be done, they can feel at home with something on their walls. i started by designing bunting flags and the message. i used the font "old letterpress" from da font, which can be found here. 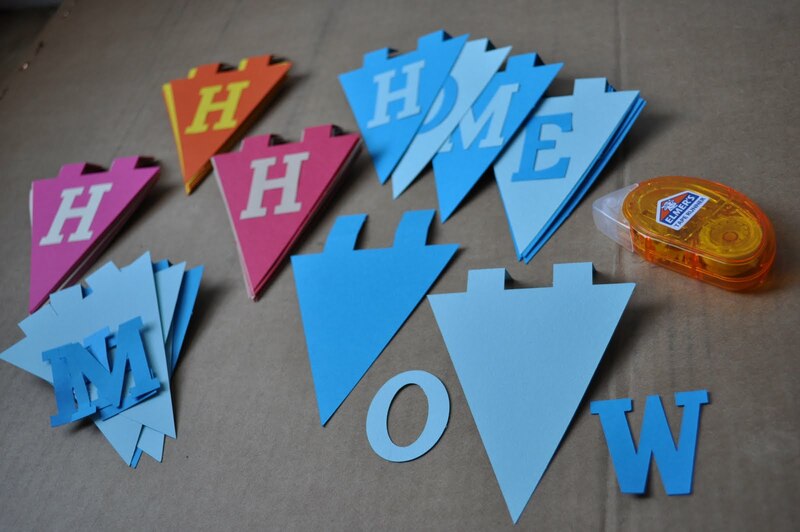 then, i had my silhouette cut out each of the components, my friend chandra was set to get pink and ivory, and chris was going to get dark and baby blue. however, i ended up making four because i figured it wouldn't hurt to have some spares on hand. i also made one in red + tan and yellow + orange. i glued each letter onto the opposite color with my tape runner. i like to use an old catalog, magazine or phone book for this since i usually glue past the paper edge to ensure maximum glue coverage. 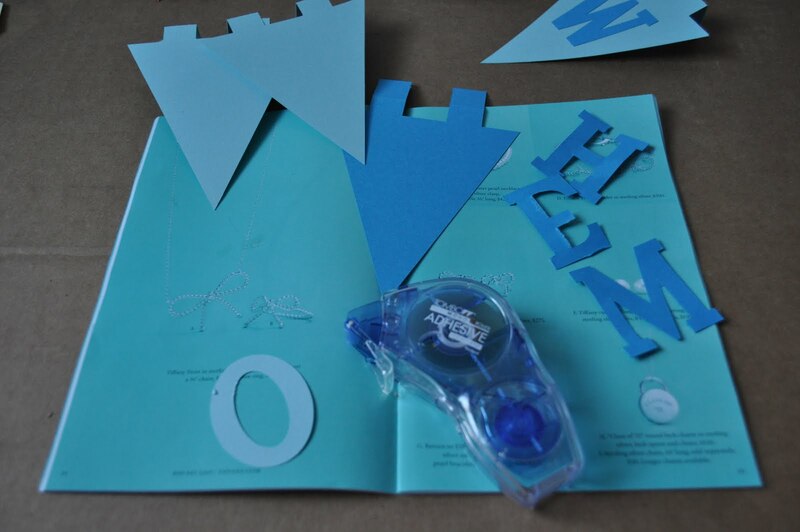 once a page is filled with sticky glue, just flip to the next page to continue gluing! 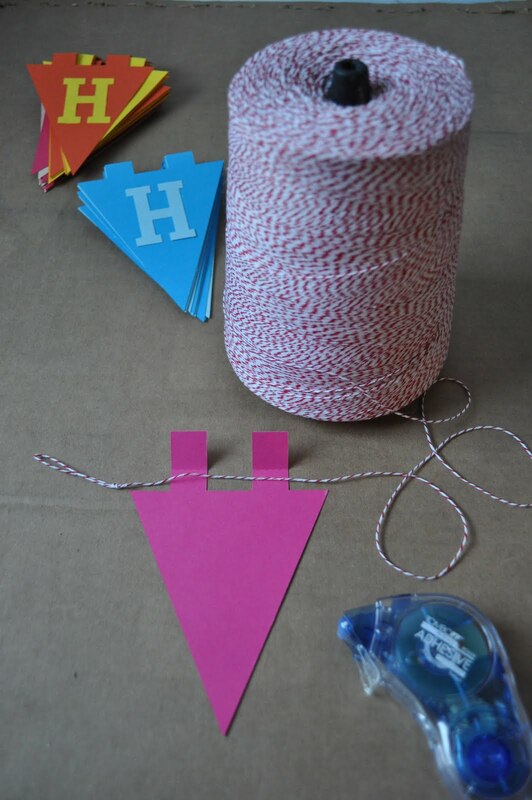 next, i was ready to glue the bunting tabs down, so they hung unto my baker's twine. again, i used my tape runner on the old catalog trick. now, they would need something to help them hang up their new bunting because most likely their tape, pins and nails were still being unpacked. 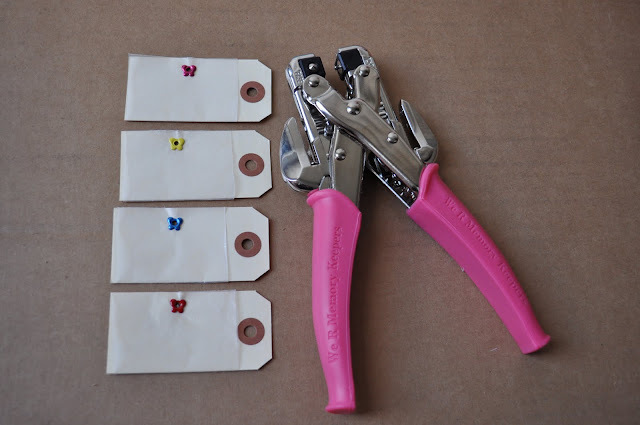 i cut small pieces of wax paper to wrap around blank tags and attached them with an eyelet. on both sides, i placed matching washi tape for them to instantly enjoy their gift! 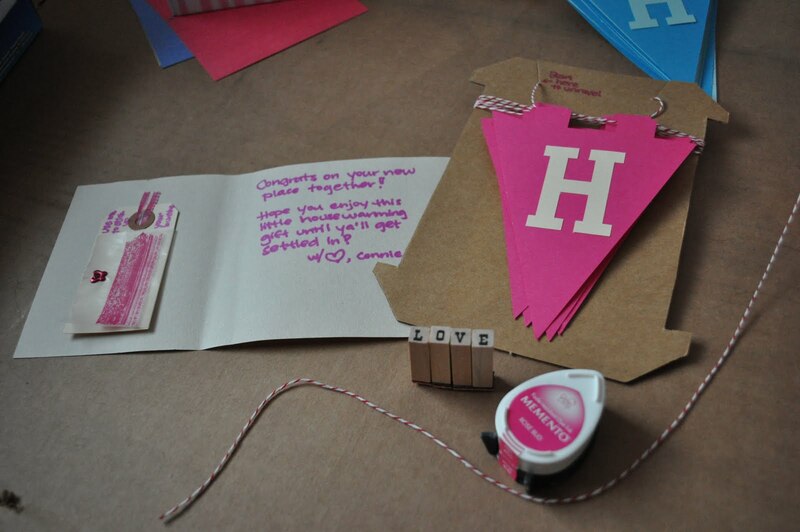 i thought it'd be fun for my friends to unravel the bunting message to read it when they got the package. 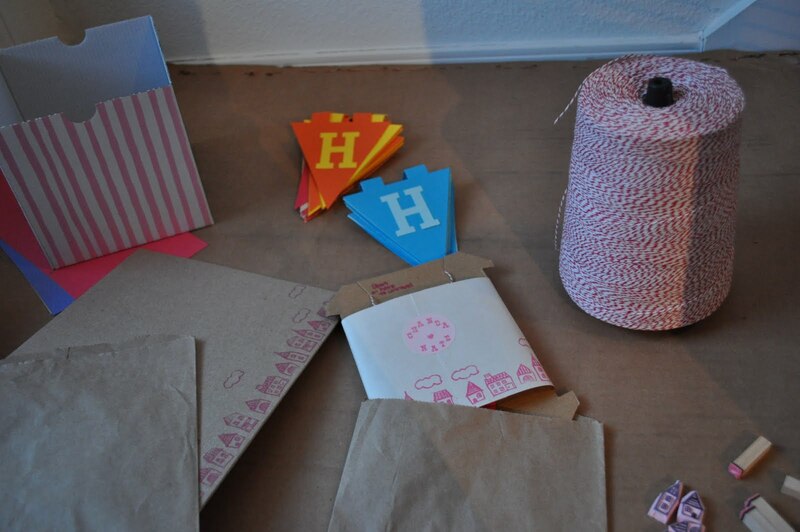 so i cut out some leftover cardboard in the shape of embroidery thread bobbins to wind the bunting onto. i labelled the start, so they wouldn't tangle the twine as they unraveled it. next, i cut a belly band to protect the bunting during shipping. 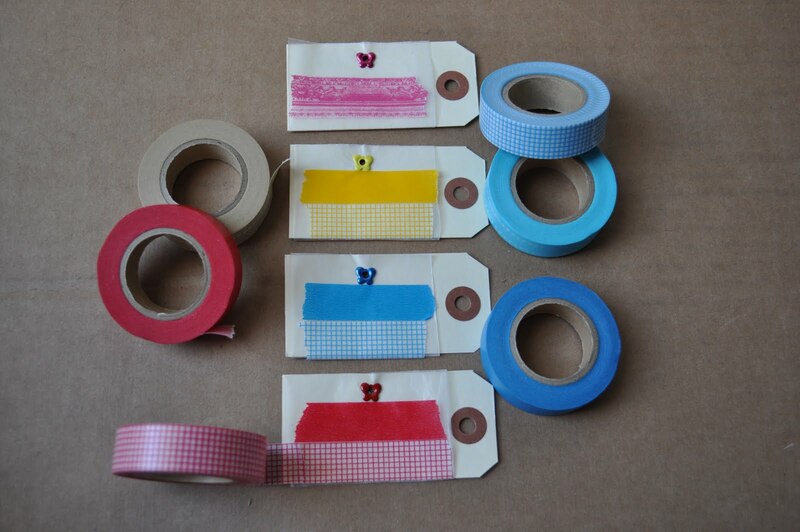 i stamped the outside bottom edge with some house stamps i made a few months ago, wrote a message and taped the washi tape tag on the inside. i held it together with a stamped seal with their names on it. i put the whole thing in a flat kraft bag with a seal in case it would get shuffled around in the mailer. i stamped the mailers with the same stamp in their bunting colors, so they had an idea of what they might find inside. now it's off to the post office to send off their surprises! i hope it takes them away for a moment from unpacking and moving to relish the fact that they are finally in one place together! 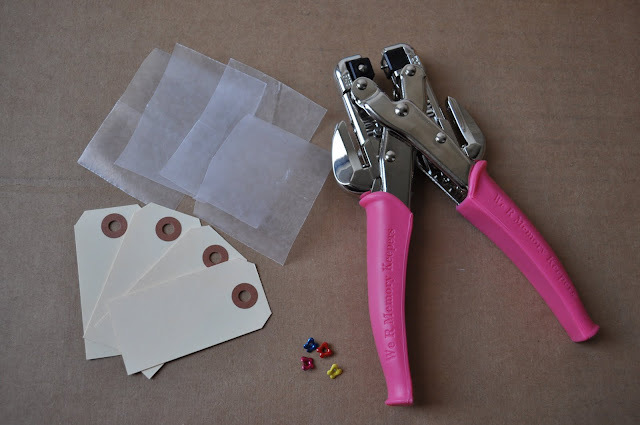 i hope you enjoyed this little diy and mail art post. 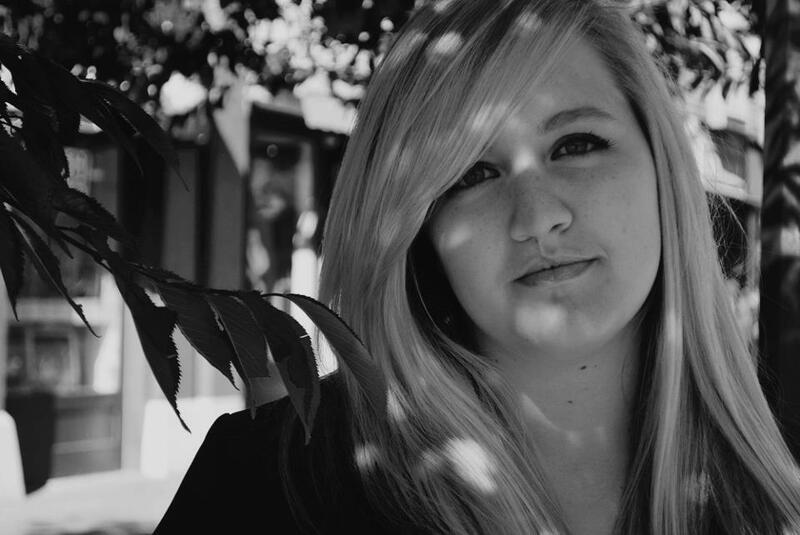 thank-you so much kaitlyn, for letting me be a guest on your lovely blog. 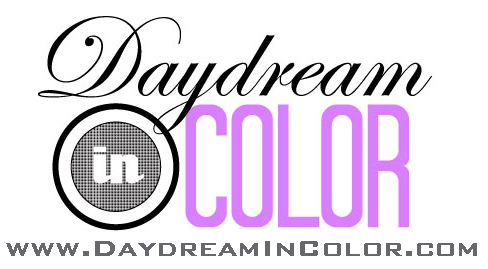 i hope ya'll will stop by daydream in color and say hello! Amazing and adorable! I wish I had even an ounce of your talent! I'm actually afraid of our silhouette... Haha! So adorable, wish I was this crafty! So cute and creative! What a fun piece of mail to get when just moving into a new home. 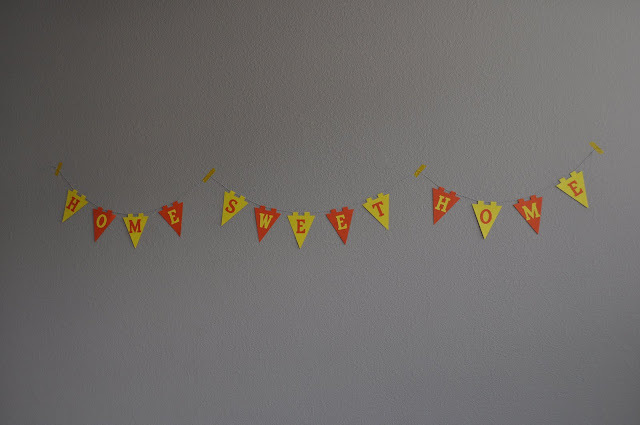 Thanks so much for the sweet notes and thanks to Kaitlyn for letting me guest post! I had a lot of fun doing it! 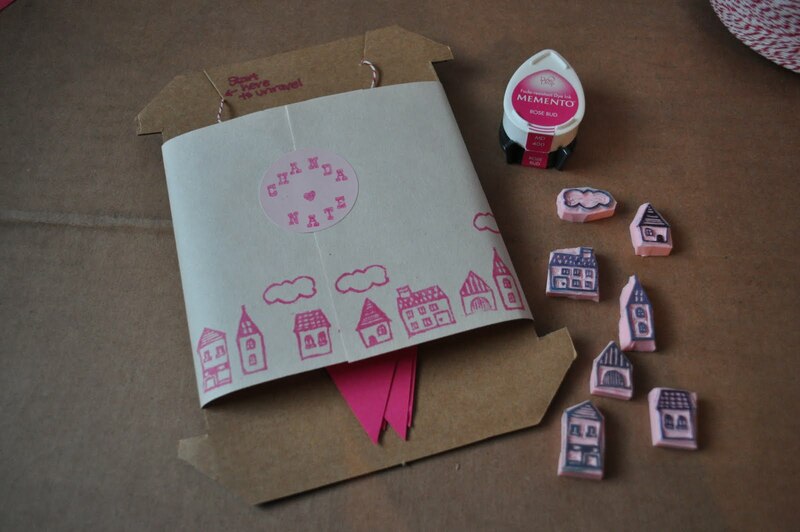 i love this so much, love the packaging!